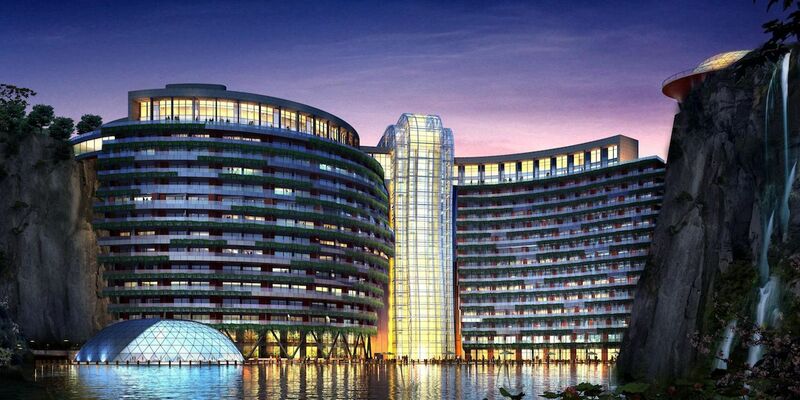 The InterContinental Shanghai Wonderland, the world’s first underground hotel, is now taking reservations. 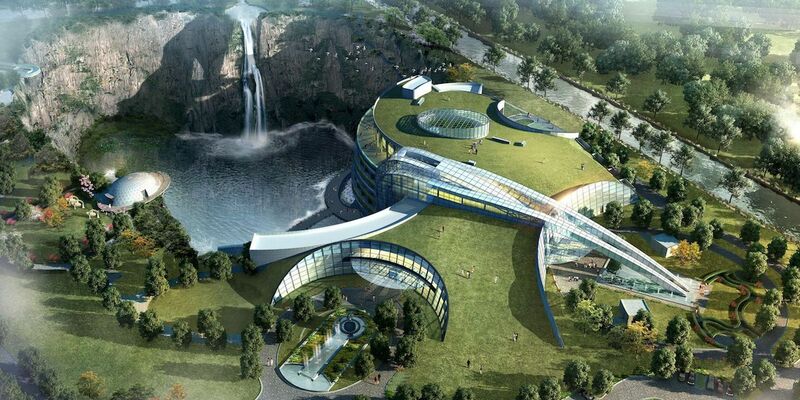 Built in the pit of an abandoned quarry about 20 miles away from Shanghai, the hotel is located in the Sheshan Mountain Range, and 16 of the luxury hotel’s 18 floors are below ground. The top floor is ground level, with a rooftop covered in greenery to blend into the landscape, and two of the underground floors are submerged inside of a 33-foot-deep aquarium. 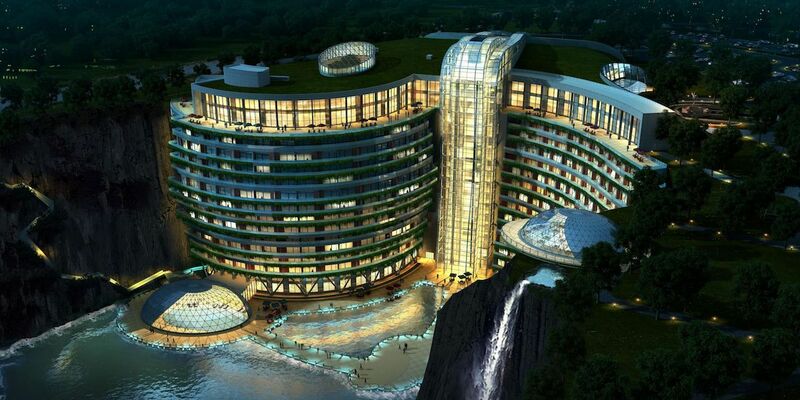 Each of the five-star hotel’s 383 rooms have a curved balcony that allows guests to see the waterfall cascading from the top of the quarry to the pool below it. The two underwater levels have a restaurant and guest rooms, and the lower two floors have a leisure complex with a swimming pool. Designed by Atkins, the British design firm responsible for Dubai’s Burj Al Arab, the InterContinental took over 10 years, 5,000 architects, engineers, designers, and workers to complete. Guests will be able to check in beginning on December 1st, with rooms starting at $487 per night. Check out the hotel’s official website for updates, or to be one of the subterranean hotel’s very first guests. This article has been updated on November 6, 2018.